Is STMicroelectronics N.V. (NYSE:STM) a good bet right now? We like to analyze hedge fund sentiment before doing days of in-depth research. We do so because hedge funds and other elite investors have numerous Ivy League graduates, expert network advisers, and supply chain tipsters working or consulting for them. 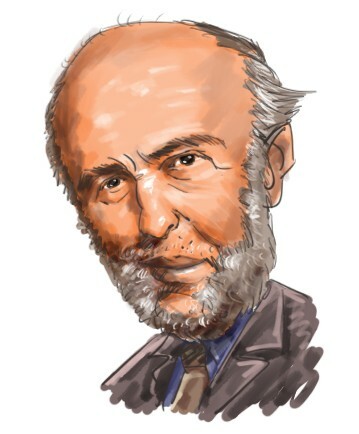 There is not a shortage of news stories covering failed hedge fund investments and it is a fact that hedge funds’ picks don’t beat the market 100% of the time, but their consensus picks have historically done very well and have outperformed the market after adjusting for risk. Hedge fund interest in STMicroelectronics N.V. (NYSE:STM) shares was flat at the end of last quarter. This is usually a negative indicator. The level and the change in hedge fund popularity aren’t the only variables you need to analyze to decipher hedge funds’ perspectives. A stock may witness a boost in popularity but it may still be less popular than similarly priced stocks. That’s why at the end of this article we will examine companies such as ZTO Express (Cayman) Inc. (NYSE:ZTO), Darden Restaurants, Inc. (NYSE:DRI), and Alexandria Real Estate Equities Inc (NYSE:ARE) to gather more data points. Let’s take a look at the key hedge fund action surrounding STMicroelectronics N.V. (NYSE:STM). What have hedge funds been doing with STMicroelectronics N.V. (NYSE:STM)? At the end of the fourth quarter, a total of 11 of the hedge funds tracked by Insider Monkey held long positions in this stock, a change of 0% from the previous quarter. By comparison, 12 hedge funds held shares or bullish call options in STM a year ago. With hedge funds’ sentiment swirling, there exists a few key hedge fund managers who were increasing their stakes significantly (or already accumulated large positions). The largest stake in STMicroelectronics N.V. (NYSE:STM) was held by Arrowstreet Capital, which reported holding $70.6 million worth of stock at the end of September. It was followed by Citadel Investment Group with a $34.5 million position. Other investors bullish on the company included Renaissance Technologies, Marshall Wace LLP, and Two Sigma Advisors. Due to the fact that STMicroelectronics N.V. (NYSE:STM) has faced falling interest from the smart money, it’s easy to see that there exists a select few fund managers that slashed their positions entirely by the end of the third quarter. At the top of the heap, Matthew Tewksbury’s Stevens Capital Management dumped the largest investment of the 700 funds followed by Insider Monkey, comprising close to $1.7 million in stock. Glenn Russell Dubin’s fund, Highbridge Capital Management, also dumped its stock, about $0.2 million worth. These moves are important to note, as total hedge fund interest stayed the same (this is a bearish signal in our experience). Let’s now review hedge fund activity in other stocks similar to STMicroelectronics N.V. (NYSE:STM). We will take a look at ZTO Express (Cayman) Inc. (NYSE:ZTO), Darden Restaurants, Inc. (NYSE:DRI), Alexandria Real Estate Equities Inc (NYSE:ARE), and Nomura Holdings, Inc. (NYSE:NMR). This group of stocks’ market caps are closest to STM’s market cap. As you can see these stocks had an average of 19.25 hedge funds with bullish positions and the average amount invested in these stocks was $433 million. That figure was $168 million in STM’s case. Darden Restaurants, Inc. (NYSE:DRI) is the most popular stock in this table. On the other hand Nomura Holdings, Inc. (NYSE:NMR) is the least popular one with only 5 bullish hedge fund positions. STMicroelectronics N.V. (NYSE:STM) is not the least popular stock in this group but hedge fund interest is still below average. This is a slightly negative signal and we’d rather spend our time researching stocks that hedge funds are piling on. Our calculations showed that top 15 most popular stocks among hedge funds returned 19.7% through March 15th and outperformed the S&P 500 ETF (SPY) by 6.6 percentage points. 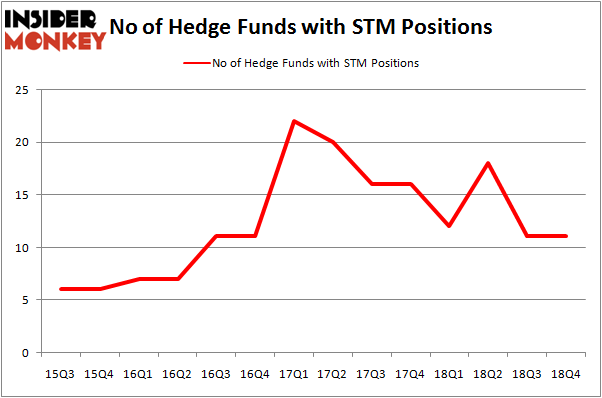 Hedge funds were also right about betting on STM, though not to the same extent, as the stock returned 18.5% and outperformed the market as well.